Search for Sea Bright condos for sale. There are almost twenty complexes that may have Sea Bright Condos For Sale. These condos can have between one and three bedrooms. Many have a garage, and other condos are located on the waters edge. At times you can also find condos for sale that have a deep water dock for your boat. You can be just minutes from the Atlantic Ocean. Prices of condos in Sea Bright can range from around $200,000 to over $1 Million. There is a sea wall that runs the length of the town. Sea Bright has seven members-only beach clubs. There is a free, but unguarded surfing beach. A fee is charged for a public beach, and there are lifeguards on duty. Also there are free unguarded beaches, but parking is limited. In addition, Sandy Hook is nearby. Red Bank offers an exciting downtown, with live music, theater, shopping and dining. 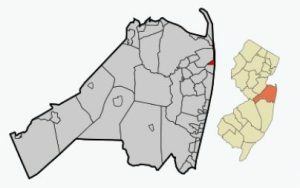 The 2010 Census reported 1,412 there were people living in Sea Bright. As is common in many of the shore towns, that number probably increases during the summer. COmmuters find that there is an easy commute, because train service to New York and points north is available at either the Red Bank or Long Branch New Jersey Transit stations. Students in kindergarten through eighth grade will attend the Oceanport School District. Once students enter high school those students will go to Shore Regional High School in West Long Branch. In addition, there are also private schools in the area. When students enter high school they also have the option to attend one of the five high schools in the Monmouth County Vocational School District. Specialized courses are available in fields such as computer science, and biotechnology. Also courses in the medical and science fields are available, among others. Call 732-598-7700 to see the Sea Bright Condos For Sale. Would you like to see what condos have recently sold for?